The month kicks in with a viewing at Phillips de Pury. The auction house brings together a mixture of engaging contemporary works of young artists as well as pieces from the ‘art-establishment’. Highlights include a Ryan Estep, a Christian Rosa and a beautiful, iridescent Michael Staniak, also featured on the catalogue cover. Andy Warhol’s Toy Series (1983), Ansel Reyle’s Untitled (2006), Mark Flood’s Men’s Club (2006), Ugo Rondinone’s 25 Mai 20082008 and Julian Opie’s Suzanne walking in green dress (2007) are the only pieces esteemed to sell for over £30.000 in a lot of 221 pieces. The auction will take place on December the 10th at 2pm. Mayfair is losing out to Fitzrovia, a new art hub where spaces open up each week??? On Mortimer Street, only a month ago, White Rainbow was inaugurated, a gallery specialising in contemporary art from Japan. On the 2nd of December White Rainbow will present its first group show featuring Futo Akiyoshi, Kouichi Tabata and Takahiro Ueda. 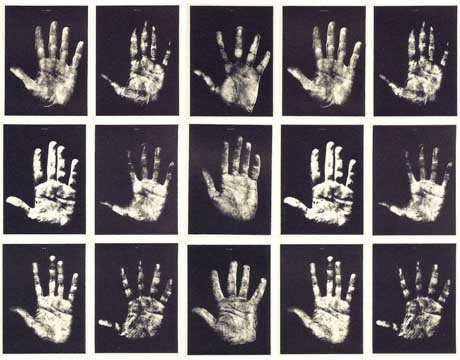 Through the physicality of their medium each artist explores, in his own way, the measures of space and time and their relation with the mind. 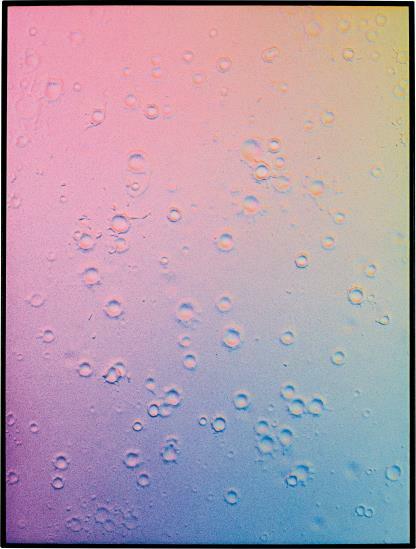 New York based artist Penelope Umbrico presents Sun/Screen, a new work in which she used an iPhone to re-take pictures of images of sunsets found on the web. By photographing directly on the computer screen images appear having a wobbly moiré effect. The work continues Umbrico’s investigation on the excessive production and consumption of images within the internet. Students from the Athens School of Fine Art and the Academy of Fine Arts, Munich present How to Project and Spell, a diverse movie produced as part of a larger artistic and educational experiment, which includes also a new student-run project space, Circuits and Currents, which opened in Athens in November 2014. Both the film and project space will be presented by Evi Kalogiropoulou, from the Athens School of Fine Art, in discussion with artist Anja Kirschner, one of the initiators of the project. First solo show in UK territory for the French Fluxus artist Robert Filliou. Since the 60s Filliou’s practice has been concerned with the discovery of the role of art in everyday life. Performance and chance are his favourite means used to challenge the status of artworks within society. In connection with Lizzie Fitch and Ryan Trecartin’s exhibition, Then Nothing Ever Happens Because Nothing Ever Does will feature video and sound works exploring the notions of transgression in the physical and virtual environments of late capitalism. On December’s First Thursday the Window Space presents its last instalment with an installation by London based artist Claudia Djabbari. Window Space is a collaborative project born last August from the creative minds of two alumni from the MA Curating the Contemporary (London Metropolitan University & Whitechapel Gallery). At his fifth solo for the gallery, Arte Povera protagonist Jannis Kounellis takes over the main gallery with a single, large scale installation, presented alongside other new works. 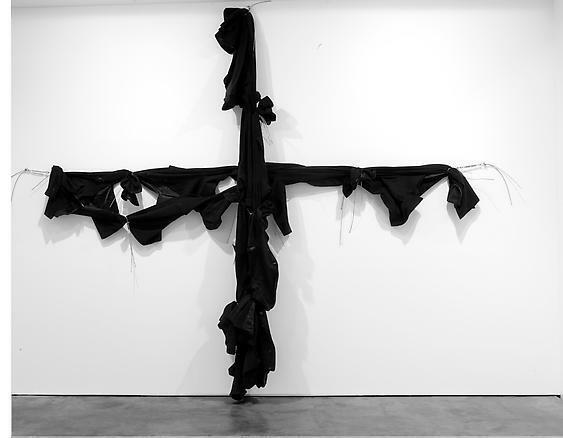 More and more over the recent years Kounellis’ production has focused on ‘black stains’ of irregular form and eerie nature. In the artist’s mind, the black stains refer back to the heavily shaded paintings of Caravaggio. As for the Baroque genius, for Kounellis the oppressive, prevailing darkness involves the concept of guilt, danger and moral impurity. The V&A in collaboration with The Photographer’s Gallery, presents a one-day conference that takes into consideration the fruitful creative collaboration between photographers and artists, designers etc. A particular attention will be given to the careers of maestri Edward Steichen (on show at the Photographer’s Gallery) and Horst P. Horst (on show at the V&A). Experimental trio CRANC, made up by cello, violin and electric harp will accompany a performance by Matt’s Gallery very own Benedict Drew. Café OTO offers yet another alternative evening with alternative sound. amaCollective present the first in a chain-reactive project named dontdrinkthemilk. The night will investigate the notion of Dialogue through performativity with collaboration from artists Zachary Eastwood-Bloom and Liz Miller and performances from concert pianist Alexander Soares, experimental choir The REC and sonic digital artist Chester Lusk.